For millions of Americans and their families, acknowledging what Alzheimer's disease could mean for their futures is tough. 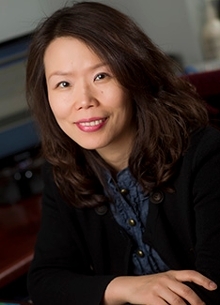 Professor Mi-Kyung Song, director of the Center for Nursing Excellence in Palliative Care at Emory School of Nursing, is hoping to make the decisions associated with end-of-life care for people with Alzheimer's disease easier for all involved, including patients, their families and caregivers of all kinds. Thanks to a $3 million grant from the National Institute on Aging, Song will modify an advance care plan that she developed and tested to promote open, honest discussions among all who are affected by mild Alzheimer's disease before the dementia progresses to an advanced stage where patients no longer participate in such discussions meaningfully. Often times, coming to terms with the impact that Alzheimer's disease (AD) could have down the road doesn't happen and families are forced to make hard decisions when the disease progresses to a much more critical stage. According to Song, those living with advanced AD, intensive or burdensome end-of-life care is common with nearly 41 percent undergoing at least one intensive intervention. This includes things like tube feeding or assisted breathing (e.g., mechanical ventilation) that offer no therapeutic benefits at the end of life. "It's not ever going to be easy," says Song. "This is a way to reduce difficulties." The advance care planning approach Song's study will use is known as "Sharing Patient's Illness Representation to Increase Trust," or SPIRIT. Those who Song hopes to help with SPIRIT are patients with mild Alzheimer's disease, as well as their families and caregivers. Unlike traditional advance care planning methods, SPIRIT is not simply focused on the patient experience or documenting wishes. It accounts for all who will be impacted by the disease as it progresses. In another NIH-funded study, Song is evaluating SPIRIT implemented by 30 dialysis clinics across four states. Song notes that mild Alzheimer's disease typically begins with more frequent memory loss and impaired judgement. There is no known cure for Alzheimer's disease and those who exhibit the mild form can progress toward a more severe, debilitating form of the disease. "Family members notice this first or caregivers note memory loss is more frequent," explains Song. "Patients can become defensive. So, the subject of Alzheimer's disease has to be managed delicately when speaking about it." As with any challenging issue, having a civil discussion is always preferable to ignoring what may be happening, says Song. "Talking about it is better," she says. During Song's study, SPIRIT encourages talking through the realities of Alzheimer's disease during the discussion sessions. These sessions involve both patients and family caregivers. By investing in an hour-long discussion, Song says caregivers and others will be able to have a long term view of what can come as a result of Alzheimer's disease. This is done so they and patients with mild AD and their family caregivers can be prepared for these scenarios, helping to reduce doubts during end-of-life decision-making. Song's study will compare outcomes of three different groups: one using an in-person version of SPIRIT discussions, another using video conferencing technology with SPIRIT, and a third using standard care at a memory clinic. Video conferencing may be the preferred method for patients and families living in rural areas or those with mobility issues who are unable to travel to a clinic for SPIRIT. "It is a very adaptable approach," says Song of SPIRIT.